Was Unisan really founded in 1521? Welcome arch leading to the población or town proper (photo: Zamboanga.com). 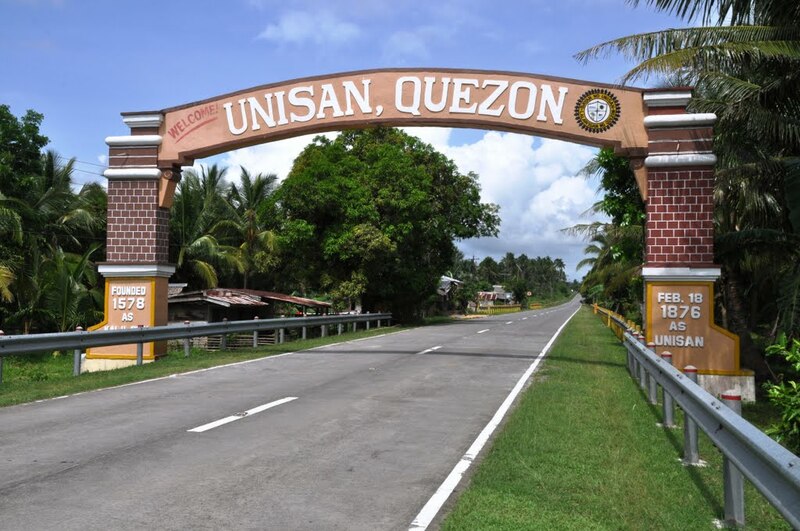 Unisan, Quezon Province, formerly known as Calilayan, Tayabas Province, is the seaside hometown of my dad and my maternal grandmother. I didn’t grow up there, but I got to enjoy the place during summer vacations as a kid. Unisan, originally called Kalilayan, is perhaps one of the oldest towns in the Philippines. As early as 1521, the town of Kalilayan was founded by Malayan settlers. All other towns in the country were established not earlier than 1565, when Spain formally occupied the Philippines as a colony. But was Unisan really founded on that year? First of all, the real name was Calilaya (or Calilayan in some accounts), not Kalilayan. Secondly, the creation of townships commenced only after the arrival of the Spaniards. Record keeping before that, particularly with the use of specific years or dates, was not yet in use for the simple reason that it was the Spaniards who introduced the Gregorian calendar. How then could have those “Malayan settlers” known that they established a town on that particular year? Lastly, the first settlers of Unisan were not Malayans but Malayo-Polynesian peoples. What is on record is that Calilaya (now known as Unisan) was founded in 1578 by two Franciscan friars: Fr. Juan de Plasencia and Fr. Diego de Oropesa. But due, perhaps, to economic reasons, it subsequently became a barrio of Pitogo. In 1874, it became a town once again, but with a different name: San Pedro Calilaya, or simply San Pedro (that is why the parish there is dedicated to Saint Peter the Apostle). What I have not yet discovered is how San Pedro Calilaya became known as Unisan (even the uni sancti story one finds in Wikipedia is the stuff of a very creative imagination). Sometimes, I am tempted to think if there is any strange link to the fact that my roots are from San Pedro Calilaya, Tayabas and here I am living with my family in faraway San Pedro Tunasán, La Laguna for the past 13 years. Wonder no more if my family has chosen Saint Peter the Apostle to be our patron saint. I’ve never been to Lobó, Batangas. But the closest that my family and I have been there was when we visited the charming pebbled shores of Kamantigue Beach in Batangas City a few years ago, and whenever we visit the popular but still pristine beaches of Barrio Laíya in nearby San Juan. 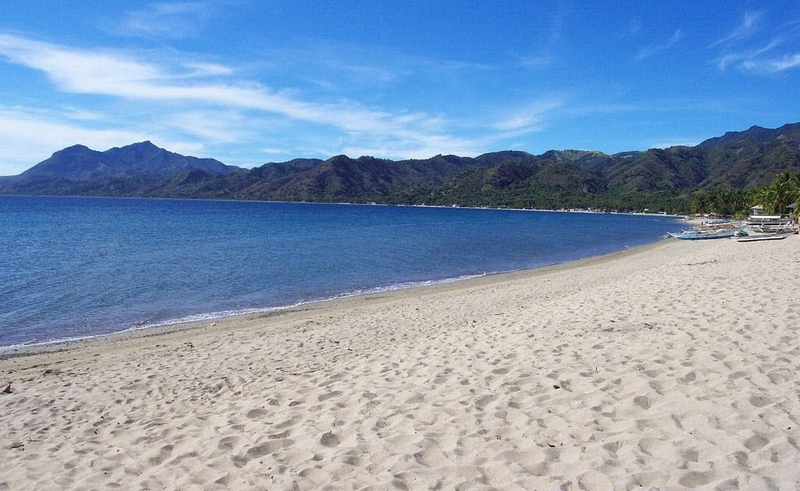 And since Lobó’s whitish coastlines are wedged between the scenic beaches of Batangas City and San Juan, it’s not difficult to surmise how they look like: paradisiacal to say the least. Of course, there’s good ol’ Mr. Google to rely on if you need to see the natural beauty of Lobó from the comfort of your homes. But Lobó’s natural beauty is in grave danger. Just this morning, a friend alerted me about a planned mining operation that could take place there anytime. He shared to me a video which was uploaded on Facebook by the Southern Tagálog Exposure three days ago (as of this writing, it now has 1,060 shares, 339 reactions, and 38,863 views). The video is actually a five-minute documentary spoken in Batangueño dialect because the interviewees are residents themselves of Lobó, including the parish priest. All of them clearly explained their reasons why they are against mining. Monte Naguiling (photo: City Boy Tripper). It doesn’t take rocket science to determine the ills of mining, whether government-sanctioned or not. Time and again, we keep on hearing news reports about mining companies and their local political lackeys being the real winners while the residents barely receive a trickle of the profits, if at all. And the worst victim, of course, is nature. Because once destroyed, the damage is irreversible. Five years ago, ABS-CBN’s Ted Failón made an investigative report about the pros and cons of mining in our country. Although it is well-known that Failón is anti-mining, his documentary may still be considered as well-balanced (despite its obvious derision of mining companies) because he was able to interview both pro- and anti-mining individuals in our country’s mining hotspots such as Caraga and Surigáo del Norte. President Rodrigo Duterte himself praised Failón’s documentary in his recent SONA. In the end, that Failón documentary has clearly proven that modern mining produces more ecological and social ills than economic cures. Punta Malabrigo Beach Resort (photo: Trip Advisor). According to the video that was shared to me, Mindoro Resources Ltd., a Canadian-based mining corporation, is the company that is currently leading the planned mining explorations in the mountains of Lobó (and even nearby Batangas City). The company believes that the land covering these areas are high in gold, copper, and nickel content. Once they are given the go-signal by local government units and other concerned offices such as the Department of Environment and Natural Resources, then say goodbye to the beautiful beaches and mountains that you see on this blogpost. “Responsible mining”, whatever that is, is still a myth insofar as residents of mining communities are concerned. What has been in existence is irresponsible mining, something that might not be corrected in our lifetime due to rapacious greed. Monte Lobó (photo: Jovial Wanderer). What is disturbing is that there seems to be lack of media interest (short of a news blackout, according to my source) regarding the circumstances behind the planned mining of Lobó’s beautiful landscape, as it is more focused on government-sanctioned extrajudicial killings and the suppression of fake news. But a terrible catastrophe is brewing in Batangas Province, and all of us ought to know about it. 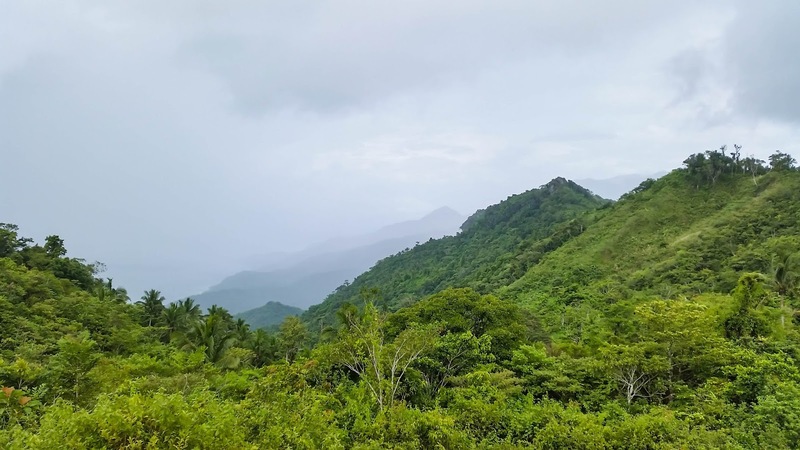 Late last month, aerial bombings were reported in Lobó’s Mount Banoí, said to be the mountain which is of high interest to Mindoro Resources Ltd. Those bombings, according to one media report, was said to be a military operation against alleged communist rebels. 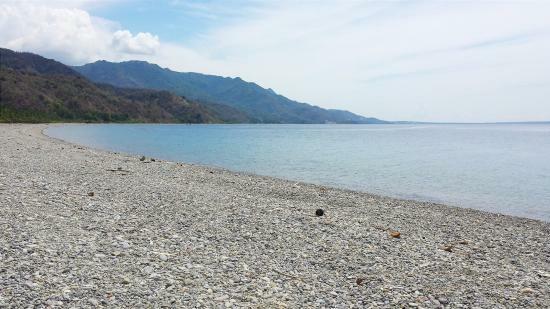 When my family visited Kamantigue Beach, which was just a few kilometers away from Lobó, I didn’t hear about any communist activity in the surrounding areas (I have a penchant of asking around for NPAs during our out-of-town trips to faraway places simply out of curiosity). If there was indeed any communist activity, I don’t believe that it’s that big to merit any aerial bombing. Islamic terrorists in western Mindanáo deserve better. Monte Banoi, considered as the fifth most biologically diverse mountain in Filipinas (photo: Discover). If we are able to create human barricades to protect an ideal, a political cause, or even a politician, why not do the same for nature? Besides, Lobó belongs to all of us Filipinos. Only we should be allowed to determine its destiny, not some foreign entity.